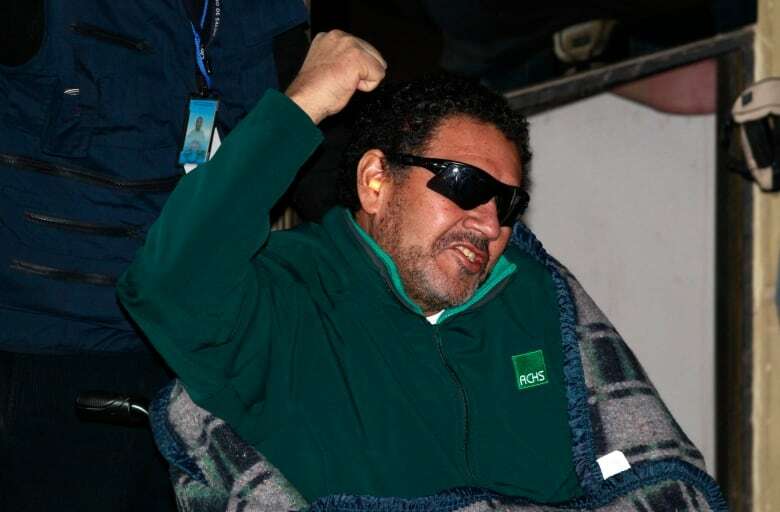 One of the 33 Chilean miners who spent 69 days trapped underground in a Chilean cave says that eight years after their ordeal, he still suffers from trauma. "I'm still suffering from the psychological effects … it hasn't been easy," Mario Sepulveda said in a telephone interview. He still has problems with his vision — he often needs to wear sunglasses — and doesn't sleep well. "And when this kind of thing happens like the accident with the Thai youths, it gives me a lot of anxiety and pain, as if it was going to happen to me again," he said. Days earlier, Sepulveda — who was nicknamed "Super Mario" for trying to lift the spirits of his fellow trapped miners during their ordeal 700 metres below ground — posted a video message of support for the Thai soccer team. "I followed the news from the first day till the last day. I was very invested in it," he said. On Tuesday, the last four of 12 Thai boys and their soccer coach were freed from the flooded cave. The team members, who range in age from 11 to 16, and the coach became trapped on June 23 while exploring the cave complex in the northern province of Chiang Rai after soccer practice. A rainy season downpour flooded the tunnels. Much like the Thai soccer team, the efforts to rescue Sepulveda and his fellow miners became the of focus of worldwide attention after they became trapped on Aug. 5, 2010 when their copper mine collapsed. Although the Thai soccer team's stay in the cave was much shorter than the Chilean miners, some psychologists have suggested the children could still experience long-term psychological trauma. 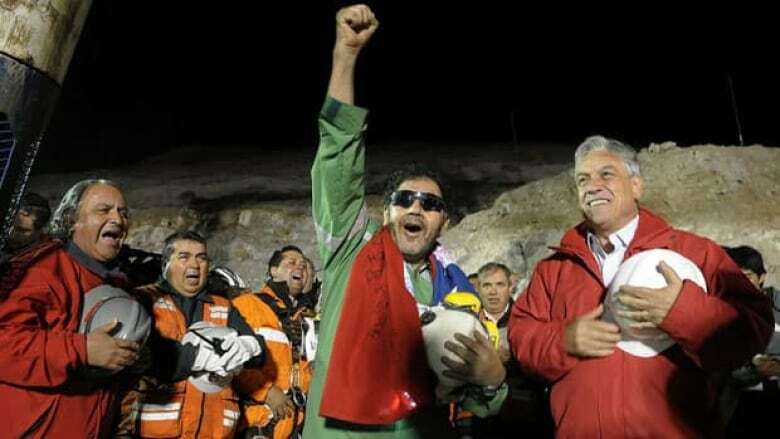 Luis Urzua, the shift foreman who was the last of the Chilean miners to be rescued from the cave, said talking about the accident helps him manage. "From my colleagues, there are many who are not able to talk about what happened because when they talk about it, they experience shock," he said in an interview. Urzua's leadership was credited with helping the men endure the initial 17 days after the mine collapse, during which they had no outside contact. "I do have colleagues who are practically reliving all day [the ordeal] we had, and re-living those 70 days we spent underground." Urzua said that some of the former trapped miners still work at the mine, but need to "act tough" because they can lose work if they show signs of weakness. "This is one of the big problems these miners have," he said. "There are some miners that today can't find a job, eight years, because of the psychological part." He said the Thai soccer team will need to rely on friends and family to deal with the psychological issues that may follow. "I think that psychologically right now they must be very weak," he said. "They are very young to go through this type of trauma. And at this point their family needs to be by their side and they need to give them the best support, the best love." Sepulveda said he is optimistic the team is "going to do very well" because how authorities and health officials are dealing with them and preparing them to face what's to come. "They've been caring for them extremely well," he said. "So I don't have any doubts that these boys are going to do very well. And much better than us." Urzua also credited the Thai authorities, saying it seems like they've been more careful with the kids, and have not been exposing them to the media. "The time will come for them to say or comment about what they went through but not right now because they are just coming out." Urzua warned the team about being exploited over their experiences. He still has bitter feelings toward those who made a book and movie about their ordeal, believing the miners were not fairly compensated. "We didn't know how to handle it. We didn't have guidance, who could tell us things how they really were and we were tricked afterwards," he said. "If these kids want to tell their story, they shouldn't give it to anyone, especially the people with a suit and tie."